This is a district of the old city that still exudes the cheerfulness of its former inhabitants. The taste and skill of the master craftsmen is always admired. This is a half-timbered paradise alluded to in the names of the streets: Engelgasse (Angel Alley) and Höllengasse (Hell Alley). 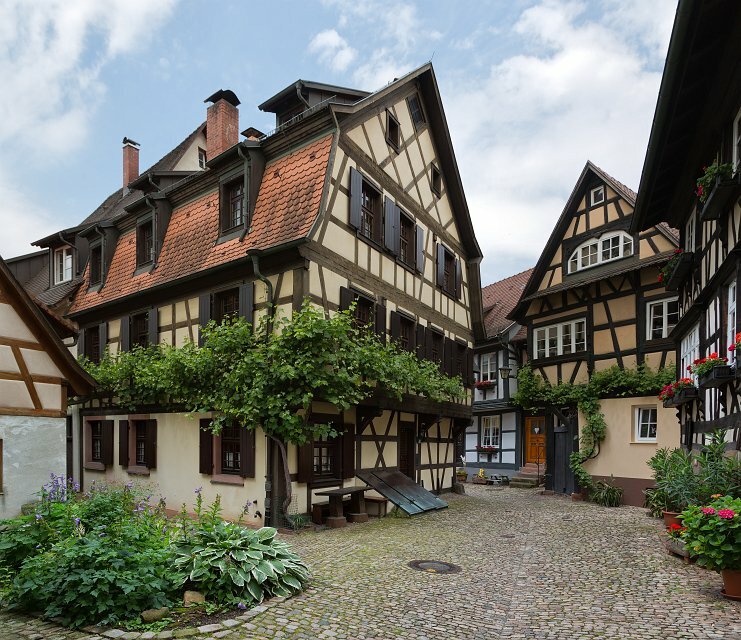 The closed half-timbered façades are characterised by the overhang that allowed for a larger living space in the upper floor. Wine growing was already considerable in that time. All the houses have their own wine cellars with an open entrance from the street.